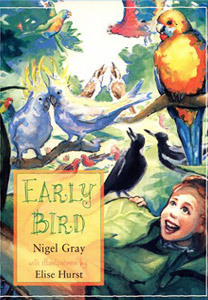 ‘Why do the birds sing their dawn chorus? And why do they stop when the sun rises?‘ No one has any answers for Melody, so she sets out to investigate. And it’s not until she climbs to the very top of the biggest tree in her garden that she discovers what being an ‘early bird’ is all about.